The Bible prophesies that a third Jewish temple will be constructed before the halfway point (3.5 years) of the final seven years before the return of Jesus Christ. It is in this temple that the Anti-Christ will proclaim himself to be god. This event is very significant because it will begin the period known as the Great Tribulation. The Great tribulation is a 42 month period, or three-and-a-half years that will be the worst tribulation the world has ever known since the beginning of the world (Matthew 24:21-22). When is this temple going to be constructed? We are not entirely sure when this will happen, but we do know that it must be constructed before the 3.5 year point of the final 7 years. We also know that there is a major hurdle that is preventing the temple from being constructed: the Al-Aqsa Mosque. This mosque is a large concern because it rests on the Temple Mount which is where the temple must be constructed. However, the book of Revelation tells us how the world will solve this issue: the temple mount will be shared between Jews and gentiles, or Jews and non-Jews. (Revelation 11:1-2). It is believed by many that the peace treaty between Israel and the Palestinians will produce the solution to this problem. 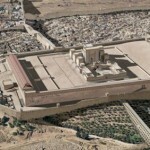 If this is the case, then the building of the third temple will quickly follow the peace treaty. In partnership with an experienced Israeli cattle rancher, The Temple Institute has decided to raise a Red Heifer, in accordance with the Biblical commandment. 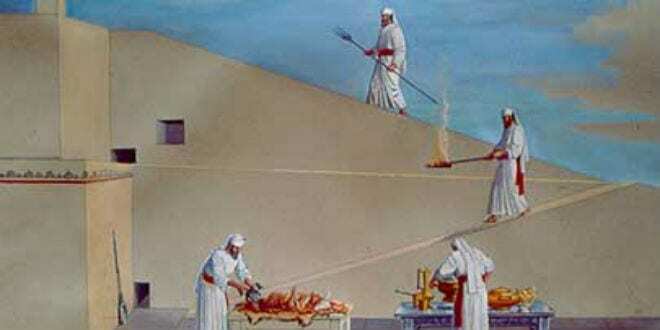 If the Jewish Temple is ever to be rebuilt in Jerusalem, the massive curtain – 66 feet high by 33 feet wide and 2 inches thick – that once hung in the Second Temple and was consumed by fire in A.D. 70, will need to be recreated. That task is already underway in the Jewish community of Shiloh, located in biblical Samaria about 40 minutes north of Jerusalem, reports Israel Today.